Blogger SEO Fixes : Texas Tim Potter Expat Blog. The best Fixes for Blogger you should do today. When I first started this blog on Blogger I just first thought I would type a few sentences and be done. Then the search engine would do the rest for me. However what I have found is that this is not optimized for Search Engine Results. So what I have had to do is change many things that would allow me to get better SEO results and a better user experience. The things I did in no particular order and it helped with my overall experience. Finding these errors was easy as setting up webmaster tools. However correcting them was a bit more. Comments and Page have same title or duplicate. So I will now address each one of those and what I did to fix each and everyone. This occurs when each page does not have its own search description and uses the default search result for every page it is a very easy fix and you should fix this. It will give you a better overall search and address more key items when people seek you out. Again this is another very easy fix and will assist you and your overall experience. CLICK HERE This will also fix your comment page where it shows duplicate errors so it is a twofer in the fix column. With these easy fixes you can can be up in the search results and gain more and more traffic. The sooner you start to optimize for search engines the better it becomes. 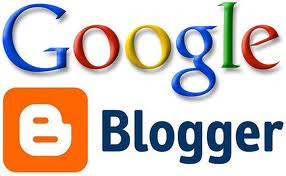 Blogger is a great platform yet it still leaves room for improvement. This occurs when each page does not have its own search description and uses the default search result for every page it is a very easy fix and you should fix this. It will give you a better overall search and address more key items when people seek you out.